Do you know what a Locational App is? You should know…this video should help. Is youth ministry a failed experiment? If you are like me, you are tired of hearing this question…and you are sick and tired of hearing all the statistics of students “graduating from church” and leaving the church following high school. 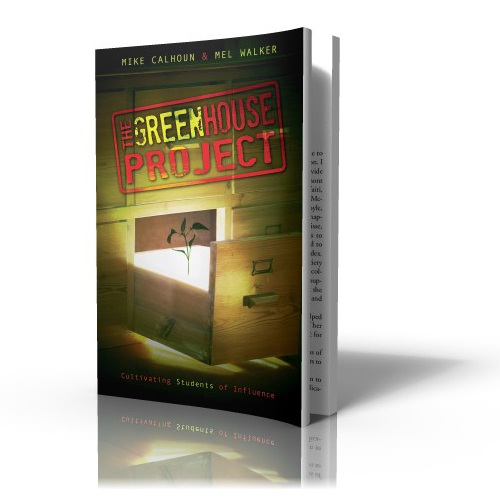 Give us some solutions, we already know the problem…well “The Greenhouse Project” does that. Positives: If you are looking for practical solutions to students leaving the church, and practical ways to institute spiritual growth diciplines and discipleship within your student ministry, this is the book for you. The topics range from parent relationships to discipleship plans, message development to mission trip planning, youth leader development to event planning. I mean, this book has it all, and the advice is worth its price in gold. This isn’t advice coming from a wordpress blog about youth ministry (I’m strong enough to make fun of myself), this is real practical knowledge from those that have been in the youth ministry trenches for years. Negatives: Although seperate authors provides different insights and greater potential for knowledge sharing, there is some (very little) overlapping of information. But as one of my high school teachers said, when I repeat something it must be important. Overall Grade: B+ Not earth-shattering, but a must read. You need to sharpen your tools in order to build a great project. This will sharpen the tools God has given you in your ministry to build a thriving student ministry. What do you think? Could this be trying TOO HARD to be culturally relevant? Does this truly enhance the Bible Study experience? I’d love to hear your thoughts.